"With her daggers, she cuts away that which is no longer necessary.... "
Circle for Hekate - Volume 1, History and Mythology will become the go to primer for anyone interested in the mysteries of the Goddess. Sorita has taken her extensive knowledge of Hecate and combined it in one manuscript, being sure to leave detailed references for the reader to take these keys she has given and unlock the door to more discoveries. Always being careful to include the subtle nuances that make Sorita d'Este the authority on the subject. This book contains detailed descriptions of Hecate's influence in antiquity through the use of stunning visual imagery. 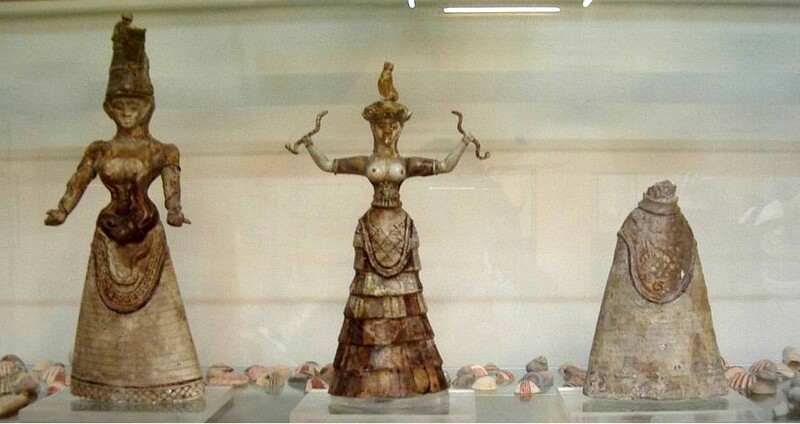 Including the Minoan Snake Goddess, one of my particular favorites. I also appreciate the way that the author takes the time to guide the reader into being more accepting of those who may have a different view of Hecate by addressing quite directly the Maiden Mother Crone aspect and the simple spelling of her name that has led to debate and contempt for years. By foto feta per J. Ollé el 6 d'agost del 2005. Sorita continues to explore the Goddess by taking us on a journey which explains conflation and lore. We learn of her lineage, her place in the company of Zeus and then all the way to the the shores of Ellis Island and how the personification of Libertas is often tied to the mother Goddess of the Chaldean Orcales. 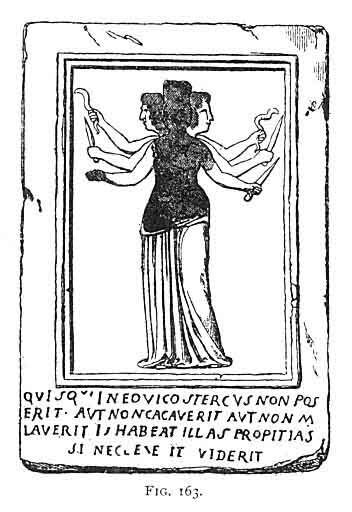 The image from page 139 of the book labeled 59-Hekate Chiaramonte is one of my favorite depictions of the Goddess. For the beginner and scholar alike, the chapter dedicated to the Symbols will be a quick reference to all things Hecate. From the modius to her sandals Sorita takes us on a head to toe exploration of all the imagery associated with Hecate. Many immediately know of keys and serpents but how many take the time to explore the others such as lions, poppies or star wheels. One of many aspects of the goddess is most intriguing to me is her relationship to the dead and necromancy. Sorita delves into this with precision and with of course careful reference to her sources. References to spells and charms related to the dead is just another section that will challenge the reader to continue to discover more about the goddess. Finally the chapter related to Hecate and plants is a must have for the devotee. If I had a dollar for every time I saw a request for Aconite to place on someone's altar I would be a millionaire. The table provided in this book is filled with non lethal plants and should be required reading for the budding Hecatean in my opinion. Overall this book encompasses what we know and adore about the Goddess from a historical perspective but also include modern references by authors and bloggers alike. 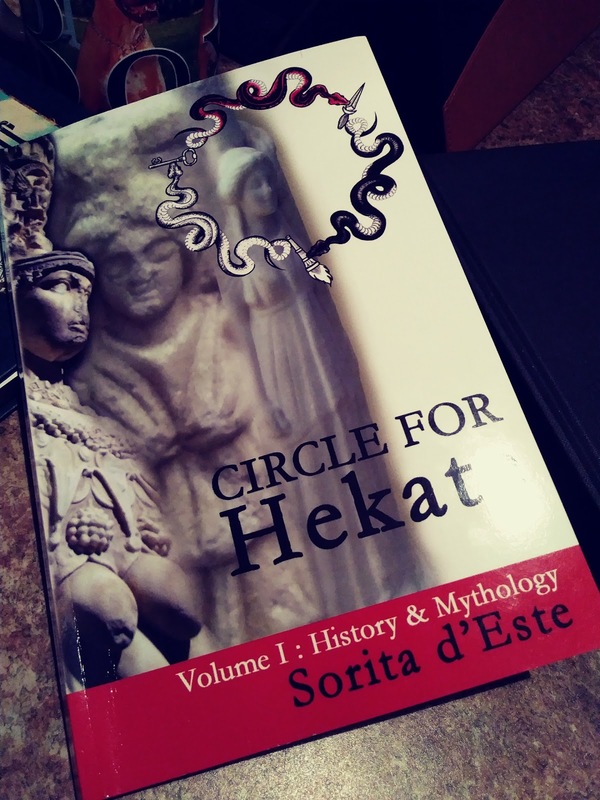 Sorita d'Este confirms her place as a scholar of Hecate and shares that knowledge with the masses in this well referenced and easy to read book. I, for one anxiously await Volume II. I would like to take a moment to personally thank Sorita for my inclusion in this book. I have worked diligently with the Covenant of Hekate over the years and spent many nights researching the mysteries of Hecate. Sorita has been a supportive influence in my study and practice. I was excited to see Sara Neheti Croft referenced in the book as she too, was/is a huge resource on Hecate and I still reach out to her with questions and comments on the Goddess. You can find information on the Covenant of Hekate on this link and the amazing blog by Sara here. Be sure to head over and check them out.